It seems to have happened so quickly. Most of February’s snow and ice is gone now. The warm rains melted the ice cornice from the side of the house, apparently no damage, whew! 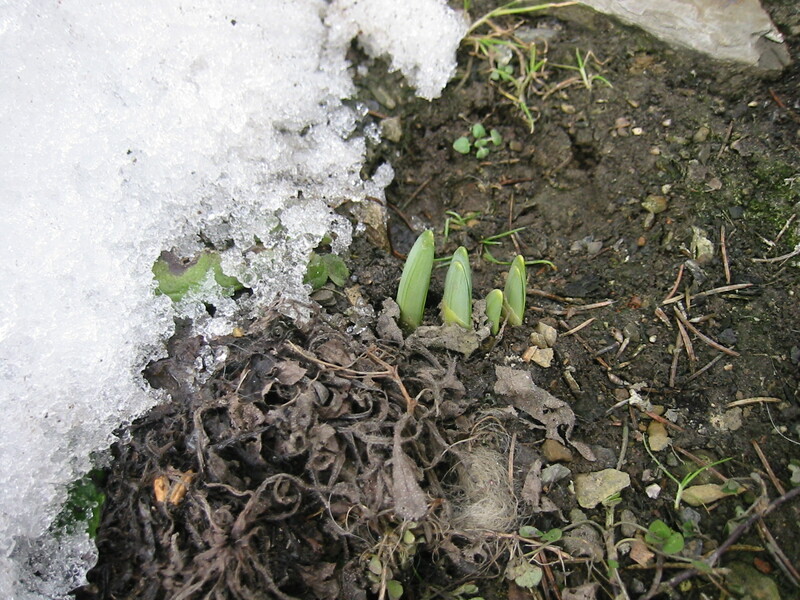 As the snow retreated in the front yard it revealed the tips of daffodil leaves emerging from the ground. Found that the chives were also putting up new shoots and the garlic planted last fall was coming up as well. 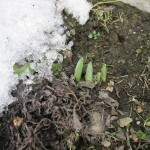 As more snow melted, the pansies that seeded themselves and the forget-me-nots were showing green too. 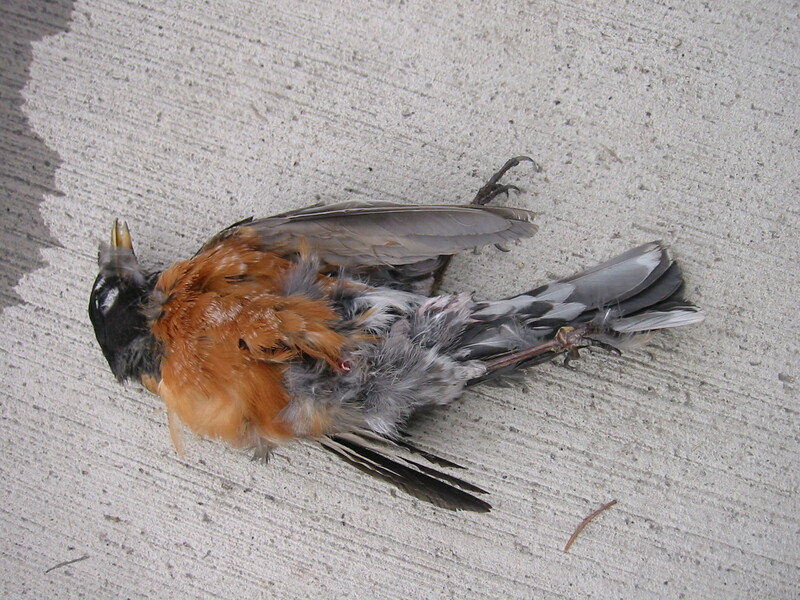 When I returned from the grocery store on March 3 a neighbor told me that she heard a robin for the first time that morning. When I got to the house, saw the poor thing on the sidewalk between my place and John’s. Apparently a traffic fatality. Spring happens every year, but seems that it was much more dramatic this year because of all the snow last month. This entry was posted in Gardening, General, Photos. Bookmark the permalink. I have been hearing and seeing a lot of firsts today. Today I saw a blue-headed vireo during my morning birdwatching break, the first for the year (and–maybe the last, I typically am lucky enough to see only see one or two per season). I’ve also been seeing yellow-rumped warblers. I have yet to see an ovenbird this year, however. 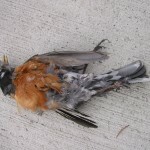 Here in Delaware, robins overwinter. They roost in massive numbers in my front and back yard…hundreds and sometimes thousands of them. Mockingbirds also overwinter in small numbers.